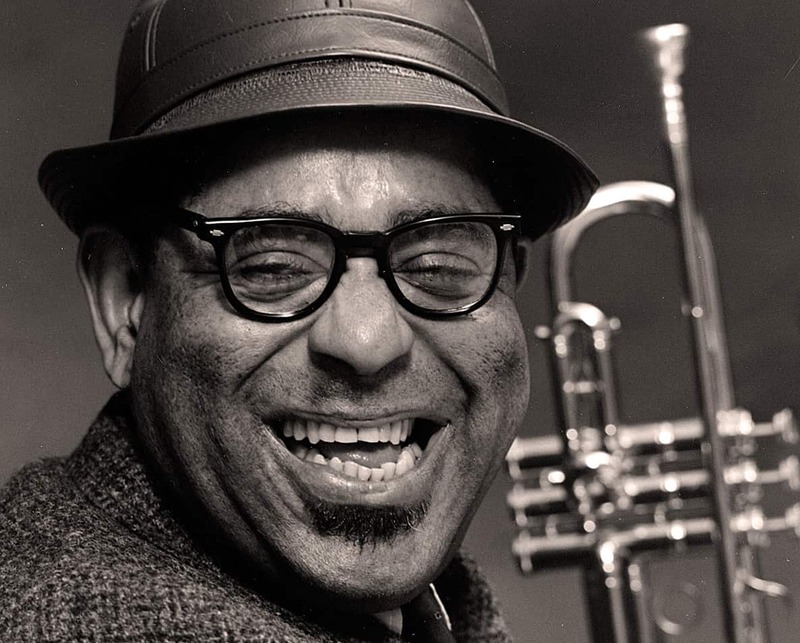 This week/month in Jazz, Trumpeter “Dizzy” Gillespie was born John Birks Gillespie on October 21, 1917. Dizzy is arguably the greatest trumpeter of all time with his roots and birthplace here in South Carolina. He is co-founder of the bebop style and a historic figure in jazz music. This virtuoso entertainer got his nickname because of the unbelievable way that he played his horn with his famous puffy cheeks. Speaking of his trademark trumpet, the bell was pointed up at a 45 degree angle after his trumpet was damaged by accident in 1953. Gillespie preferred the sound of his altered instrument so much that he had his trumpets specially made. He is credited with introducing the world to the fusion of Afro-Cuban and jazz sound. Dizzy Gillespie is the only artist to ever tour the world with U.S. Government sponsorship and he conducted for the United Nations Orchestra in later years. He died on January 6, 1993, at the age of 75.